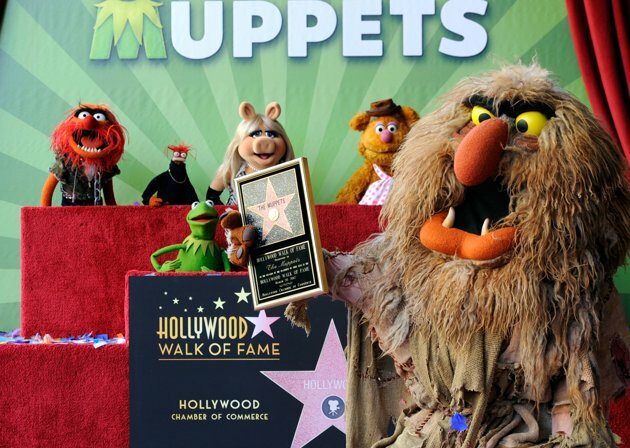 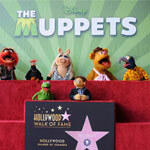 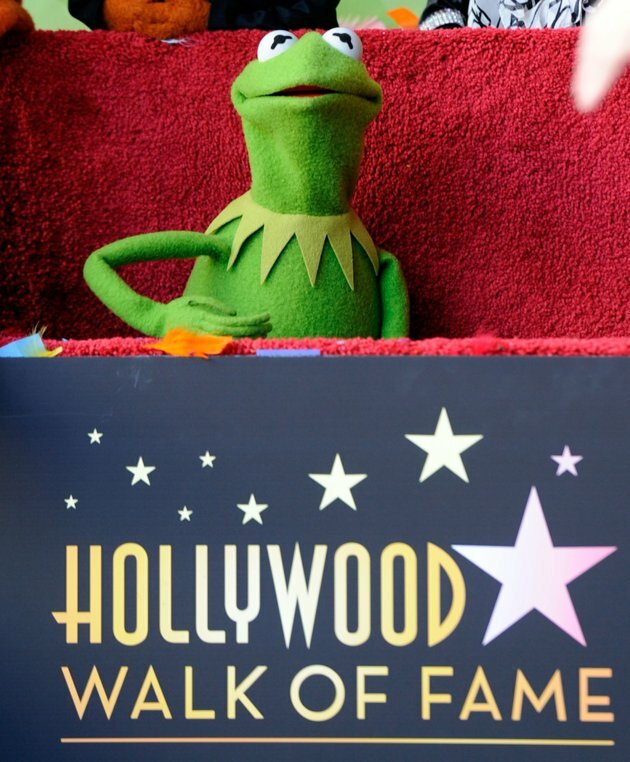 Kermit, Miss Piggy, Fozzie and the rest of lovable Muppets receives their star on the Hollywood Walk (“Wocka Wocka”) of Fame today (Tuesday) in celebration of the release of Disney’s The Muppets on Blu‐ray Combo Pack and DVD. 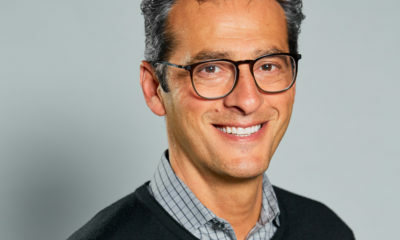 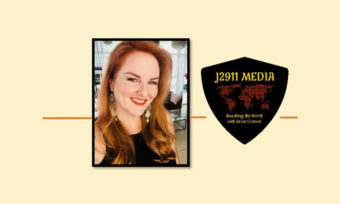 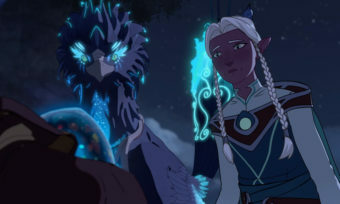 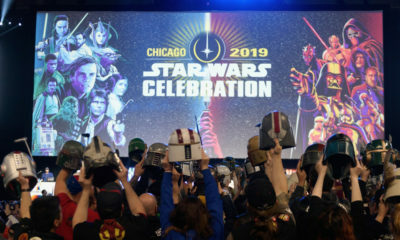 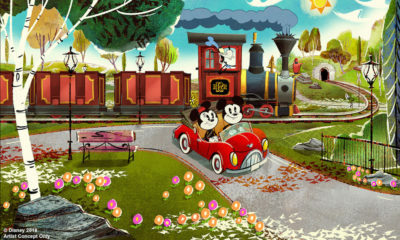 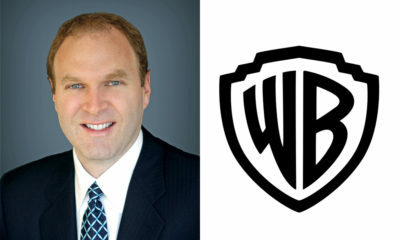 The event was emceed by Hollywood Chamber of Commerce president and CEO Leron Gubler, with special guest speakers Disney Studios’ chairman Rich Ross and Jim Henson Company’ Ceo Lisa Henson. 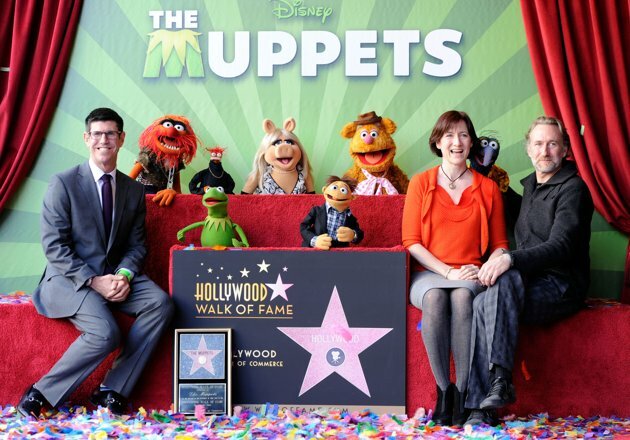 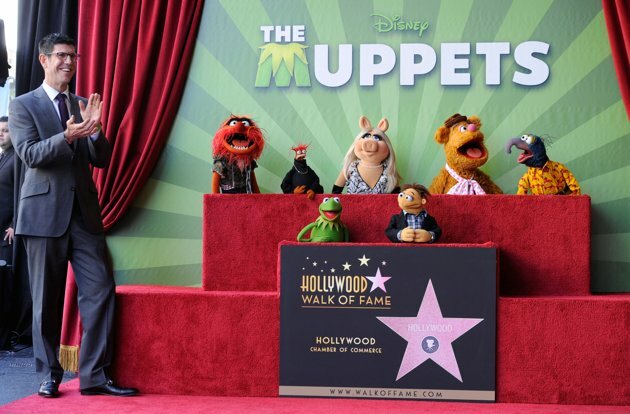 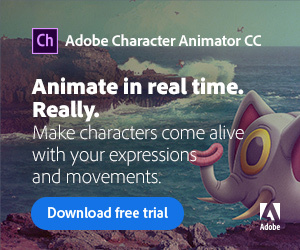 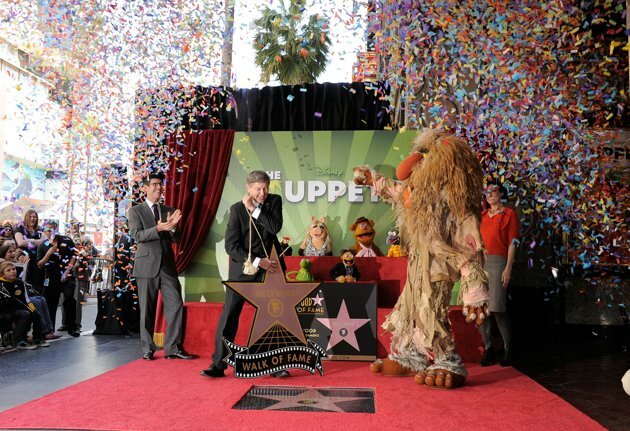 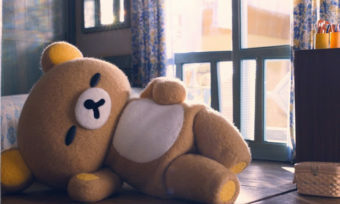 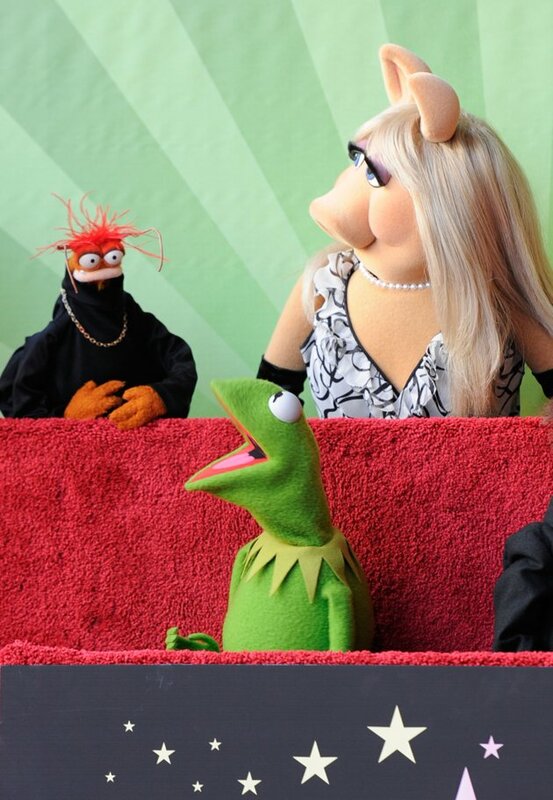 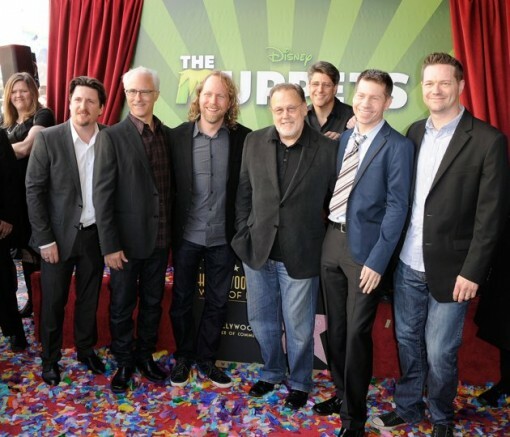 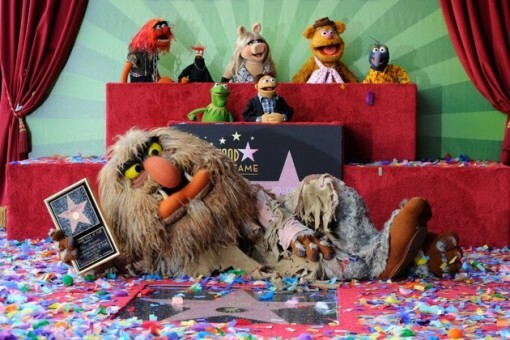 Several Muppets were on hand to receive the star including Kermit the Frog, Miss Piggy, Fozzie, Gonzo, Animal, Pepe, Sweetums, and Walter, the newest Muppet, who made his debut in Disney’s 2011 film. 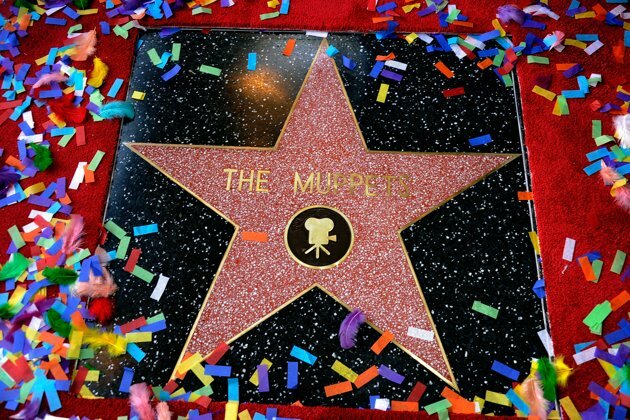 The Muppets’ star is the 2,466th star on the Hollywood Walk of Fame and is located in front of the historic El Capitan Theatre.